Comment: We have a hole corroded in our current furnace deck and are looking for a new Amana AMVC96. Comment: This is just maintenance. Comment: Piping leak - valve appears to be corroded. Two rooms are not getting heat; not sure if this is a related or separate issue from the leak? Comment: Repair a faulty valve on a steam radiator. Comment: I would like to get an estimate for cleaning a furnace. Comment: I live in a Denver two story loft. I have two heat pumps and exposed ductwork. I want the heat pumps serviced and the ductwork cleaned. I am flexible with the date when this is done. Comment: I am selling my home and just discovered I have a Kitec recalled system that needs to be replaced. Trying to sell my home...disaster! Comment: No cooling device currently installed. Baseboard heat only. Mostly interested in ductless mini-splits. Comment: A 14' run of 6" ducting in a crawlspace needs repair/replacement. There was a water issue that entered the existing ducting, and has affected the airflow. Denver Heating & Furnace Contractors are rated 4.79 out of 5 based on 8,406 reviews of 178 pros. 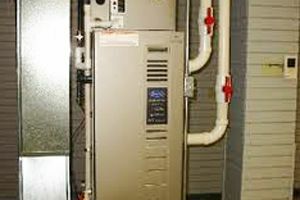 Not Looking for Heating & Furnace Systems Contractors in Denver, CO?